Do It Now, Reap the Rewards in the Spring! Fall can be a busy time in its own right, but it will never be as busy with garden chores as spring can be. By taking some time this fall prepare our vegetable gardens, we can all be better prepared for next year's gardening season. By using these 20 gardening tips we can work this fall to get a head start next spring. 1. 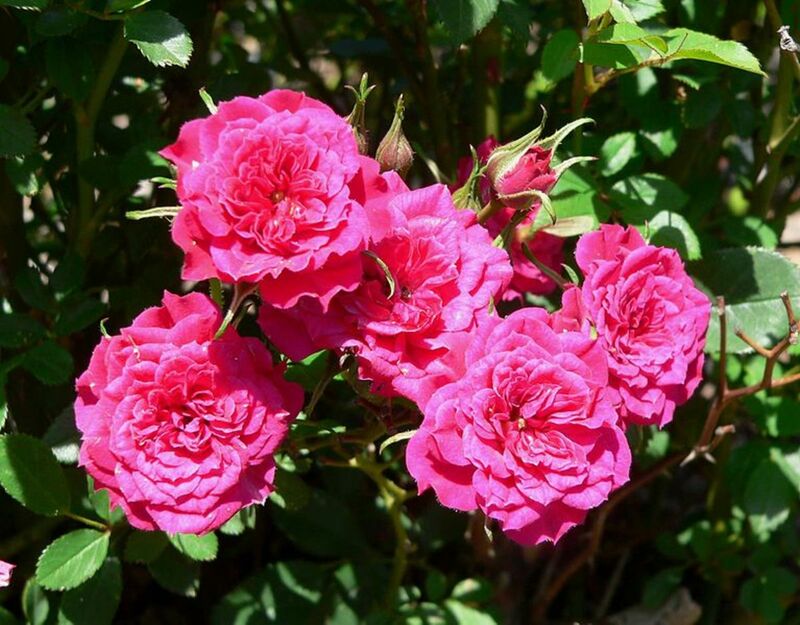 Before first frost, bring in tender plants that you intend to keep inside over the winter. Pick tomatoes, peppers, and squash before frost or cover with sheets if light frost is expected. Often after there are a couple of weeks after the first frost in the fall that are not so cold and vegetables that are protected from that first frost will have time to ripen before a killing frost. This may not seem as though it is helping you get ready for fall, but it helps clear the garden of produce that might otherwise rot on the vine and become harbors for insect pests. 2. If killing frost is expected, but you have tomatoes or peppers in the garden that still need more time, pull the plants up by the roots and bring onto a covered porch, carport, or into the garage. By doing this, it will provide the fruits on the vine even more time to ripen. If still more time is required, bring partially ripened tomatoes into the house and put on a windowsill to finish ripening. Any green tomatoes can be used as green tomato relish, pickles, relish or mincemeat. Green peppers can either be made into relish or diced, sliced, or stuffed and frozen.By bringing in your plants, you are beginning your cleaning out process. 3. After frosts have leveled the summer vegetables like peppers, tomatoes, and squash, it is time to begin the task of putting the garden to bed. Remove all spent vegetable plants. 4. Pile the plant residue in the winter worm bin along with kitchen scraps, then shred and pile all the leaves you can get your hands on. Sprinkle garden soil and coffee grounds onto the pile to promote microbe activity. 5.Fall is a good time to roughly plow soil on flat ground. If not plowing, dig as many beds as possible by hand before winter sets in. After digging each bed, cover the beds with manure if available and cover with more autumn leaves.Raked leaves protect the soil from freezing and add nutrients for soil microbes. 6. In one of the first beds that you dig, plant a fall bed of garlic. Smooth out the soil on this bed. A 4x8 foot bed of garlic planted intensively, produces enough garlic for a family of four for a year. Plant garlic cloves planted with the root end down, six inches apart and in rows that are also six inches apart. 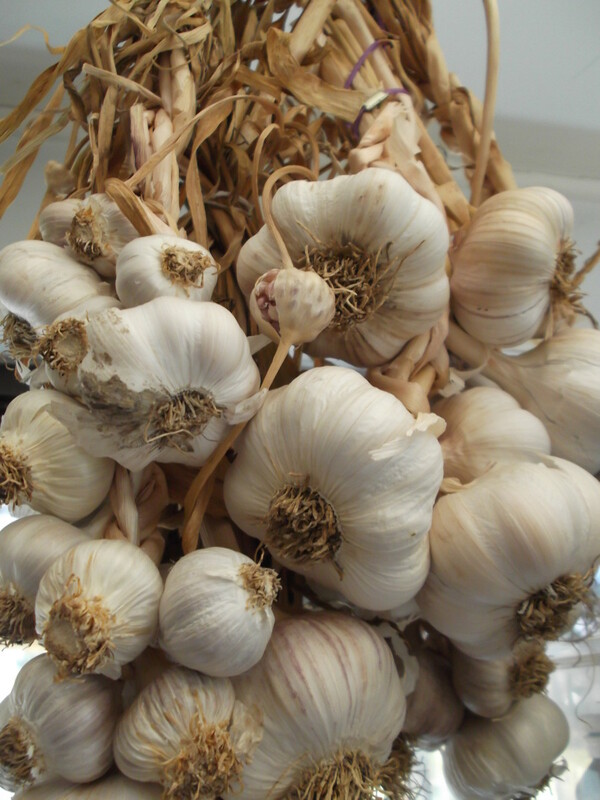 Allow the garlic to begin to grow and then mulch around the plants with leaves. When the weather gets cold, the garlic tops will die back but the roots will be alive and have a head start when the soil thaws in the spring. 7. Place cold frames around fall planted plants in order to extend the harvest. In some cases, harvests may extend until spring. 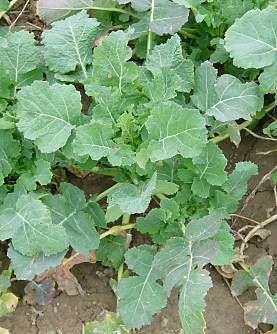 For an extended harvest, remember to grow some plants like this kale in your fall garden. 8. Some root plants such as beets, carrots, parsnips, turnips, and even potatoes can also be kept in the ground over the winter rather than being pulled and stored in the root cellar. Simply cover the growing beds with a thick layer of leaf mulch (another great use for leaves) or straw mulch. 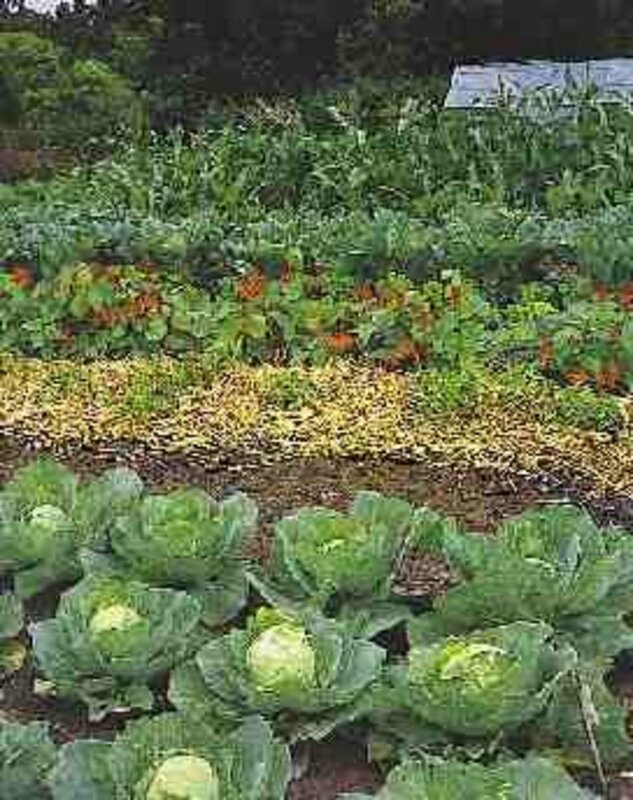 Plan to dig these beds first in the spring and store the vegetables in the refrigerator until ready to use. 9. 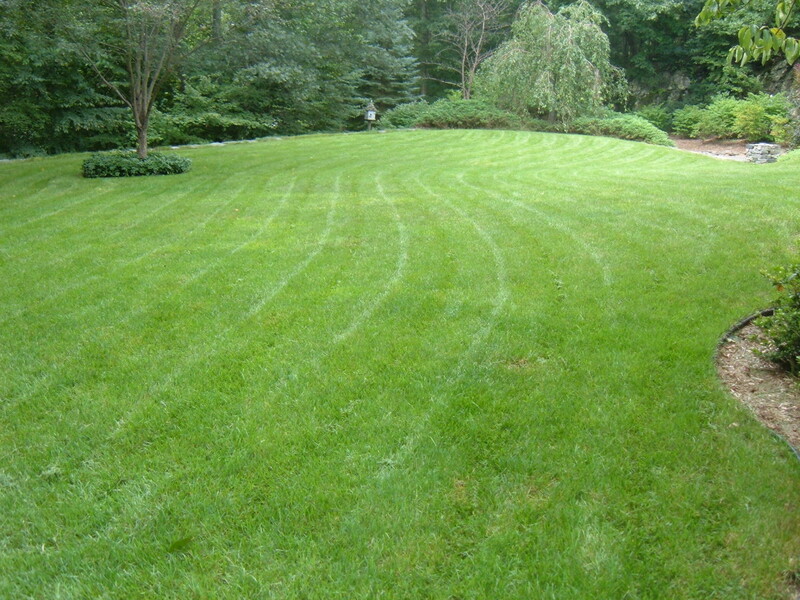 Apply manure and mulch around trees, berry bushes, perennial vegetables, flower, and herb beds. Protect sensitive trees and shrubs from heavy snows by placing protective boxes around them. 10. Save seeds from this year's heirloom plants. 11. Save ashes from fireplace to add to the garden in the spring. 12. When weather becomes too inclement to work outside, review your previous season and consider how well your garden plan worked for you. Determine what worked and what didn’t. 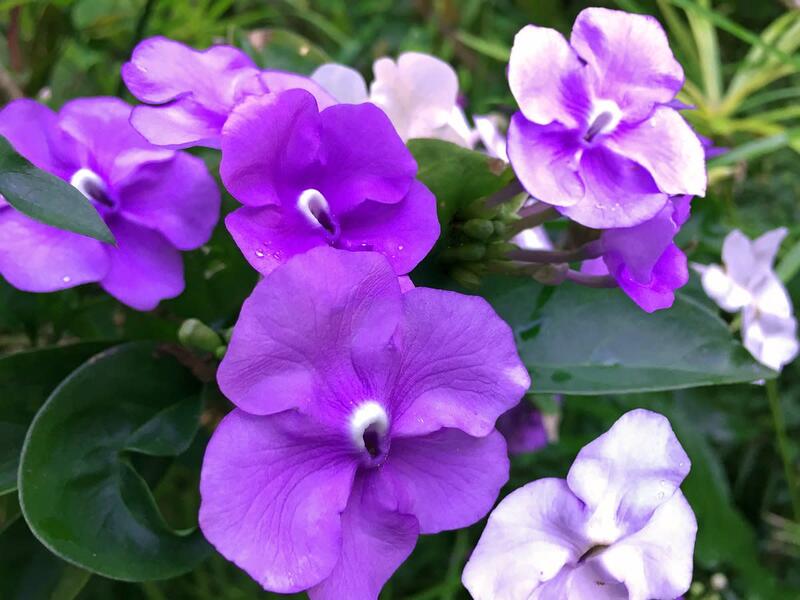 What plants worked for you and which ones didn’t ? What vegetables did your family enjoy and which ones did they not care much for? This will let you know what to repeat and what was a waste of time. 13. 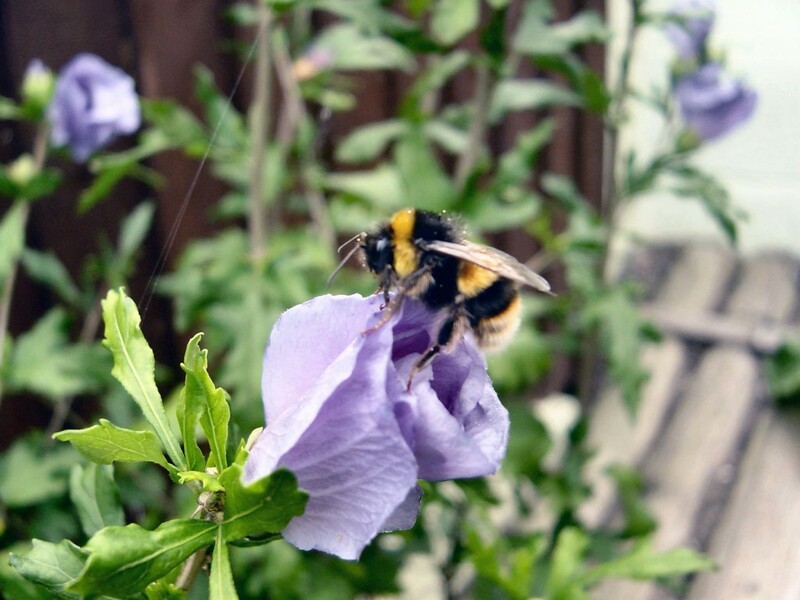 What insect pests and what diseases plagued your garden this year? Write down what you think was wrong and research the malady this winter. Determine what you might do next year if the same problems occur. 14. What do you wish you planted more of? What do you wish you planted less of? 15. Did the weeds get away from you this year? If so, what can you do to make them less of a problem? Did you put weedy hay on your garden? Did you plant in the traditional row garden? 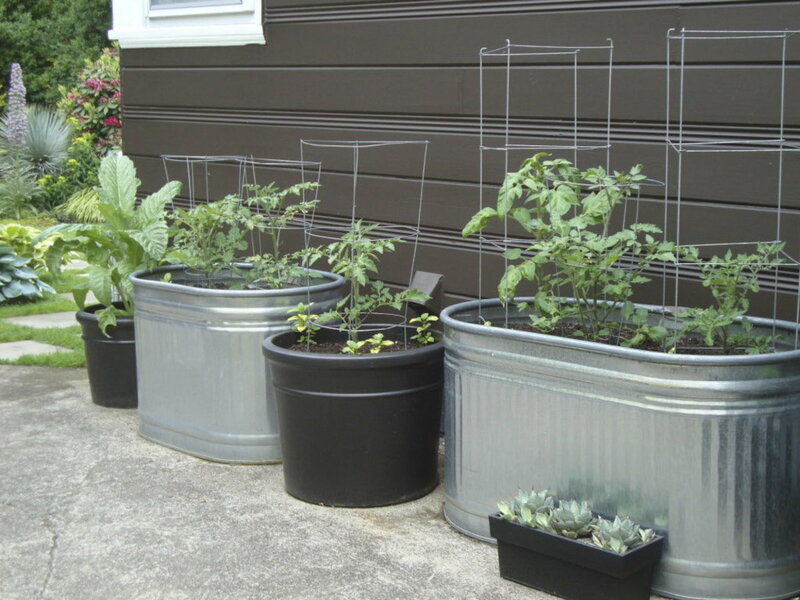 Would planting in garden beds make it easier? 16. Did your garden get a late start because you had to wait for someone with a plow or tiller to work the garden for you? Do you need to make a note to call someone to plow or till sooner, or is there another way to get the garden tilled so that you can get it planted sooner? Get your lawn mower, week eater, and tiller maintenance down now so you won't have to do so in the spring. 17. 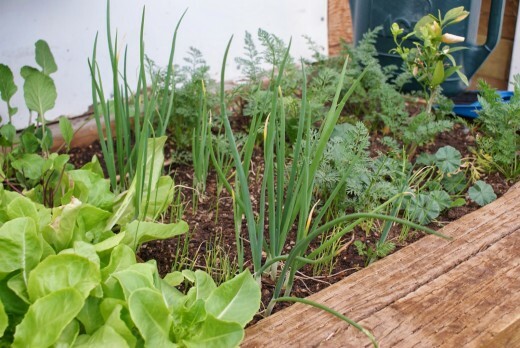 Find at least three ways that you can make your garden work easier next year. Perhaps you could put in soaker hoses so that you didn’t have to hand water so often. Perhaps you could maintain a thick layer of mulch over the whole garden so that you didn’t have to weed as often or at all. Determine where you will be able to locate mulching material now so that you don’t have to go looking for it in the spring. 18. Order your seed catalogs now so that they arrive in late December or early January. Make a list of every seed that you have saved and determine what seeds or plants that you will want to get in the spring. Be sure to check online sites as well for what you need. 19. Now is the time to planning and even begin building garden furniture and other projects so that they will be ready for you to enjoy in the spring and summer. 20. Give yourself a much needed rest from the gardening season. Put your feet up in front of a warm fire and enjoy the fruits of your labor. You have earned it! You can rest assured knowing that you have done all you can to make next spring hassle free and more enjoyable. Thank you so much teaches 12345 for your comment! I believe that nothing works like gardening to ground me in my creativity. I remember our gardening days and we did much of what you suggested in preparing our garden for the fall and spring seasons. Excellent advice! Thanks, Bill! I love gardening almost as much as I enjoy reading and writing!